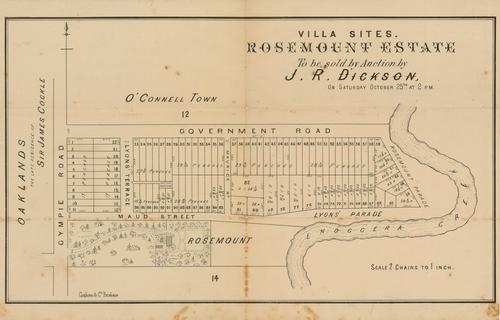 The original residence called Rosemount was built in 1859 for Daniel Rowntree Somerset, who later became the chief clerk in Brisbane Customs House. It was subsequently owned by other Brisbane notables Sir Maurice O'Connell and Maurice Lyons. 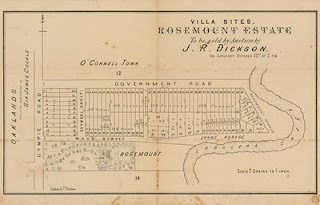 The substantial land content surrounding the residence was subdivided and sold for housing allotments around 1880. By 1885 the original stone house was needing repair, so architect GHM Addison was consulted by the then owner Alfred Jones who was the local manager of Gordon and Gotch, newspaper and magazine distributors. The result was a new brick residence with an ornate porch. 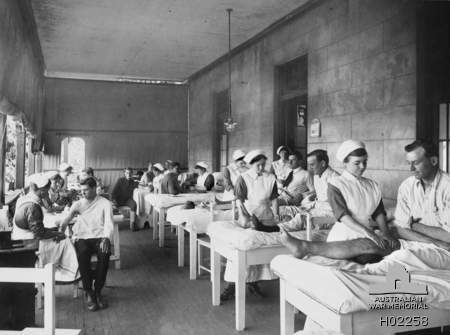 After Jones died, his sons leased the property to the Australian Defence Forces for the duration of WWI for use as a hospital. 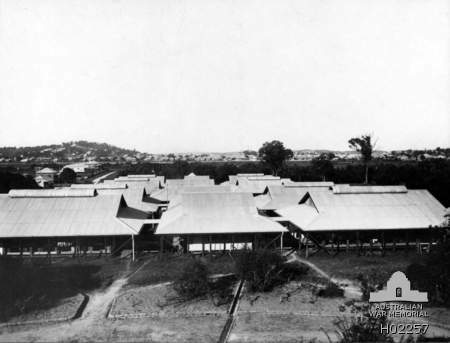 During the war the Department of Home Affairs constructed several new buildings in the grounds of the property as additional hospital wards. Here is a photograph of the hospital complex from around 1918. It was formally acquired by the government in 1926. And the next image shows nurses tending to patients in one of those wards. Many of the buildings used verandahs in this way. Rosemount continued in service as a military hospital right through WWII, but during the 1950s Greenslopes Hospital on the other side of Brisbane was selected to be the main repatriation hospital. Some of the unused land between Rosemount and the river was sold to the Brisbane City Council and is now used as parkland. Rosemount then became attached to the Royal Brisbane Hospital and provided geriatric and psychiatric support to its Herston site. During the 1990s this use ceased, and the building fell into disrepair. In 2005 the site was leased to a charitable organisation that provides support for the terminally ill. It is now known as Karuna. Here is the Addison-designed Rosemount building today, and the ornate entrance porch can be seen at the right of the building. Something must have been happening in the family's or the state's economy in the 1880 era. Otherwise why would the substantial land content surrounding the residence be subdivided and sold for housing allotments? Not for charitable reasons! The same thing happened with large estates in Melbourne, but mostly during the terrible bank crash of the early 1890s. You are right Hels. The O'Connell family started to sell off the land for development purposes and ran into financial difficulty, causing the loss of the property in 1872 as the result of defaulting on a loan. I can't be sure, but here's what I think. The facility is now a hospice called Karuna, and it was the project of a Buddhist monk. I think that the structure that you are referring to has Buddhist significence.